1 DAY ACUVUE MOIST MULTIFOCAL Contact Lenses are suitable for close up and distance vision focusing. 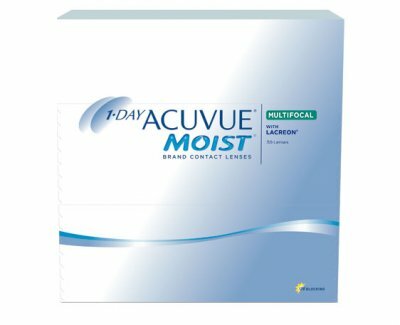 1 Day Acuvue Moist Multifocal contact lenses are a single use daily disposable contact lens. They provide clear vision at all distances,work well in low light conditions and will not dry out during the day so your eyes remain moist and healthy. Enjoy excellent focus at all distances.